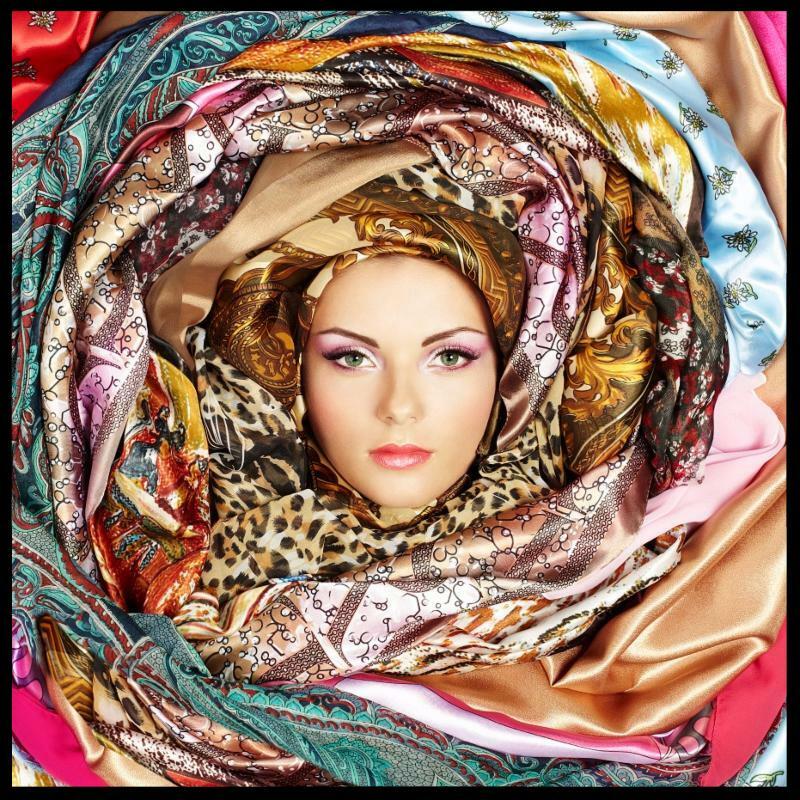 Nothing says Fall like wrapping a stunning silk or cashmere scarf around your neck or draping it over your shoulders! 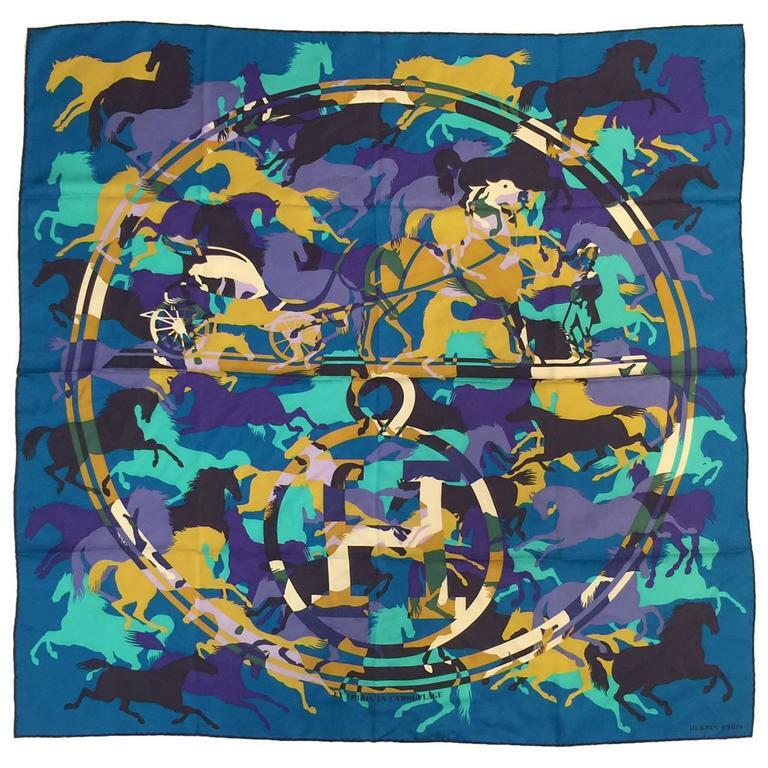 We have just received a wonderful selection of scarves that come from fashion houses such as Hermes, Chanel, Burberry, Valentino, Givenchy, Gucci, Armani, Ferragamo, Lora Piano and more! 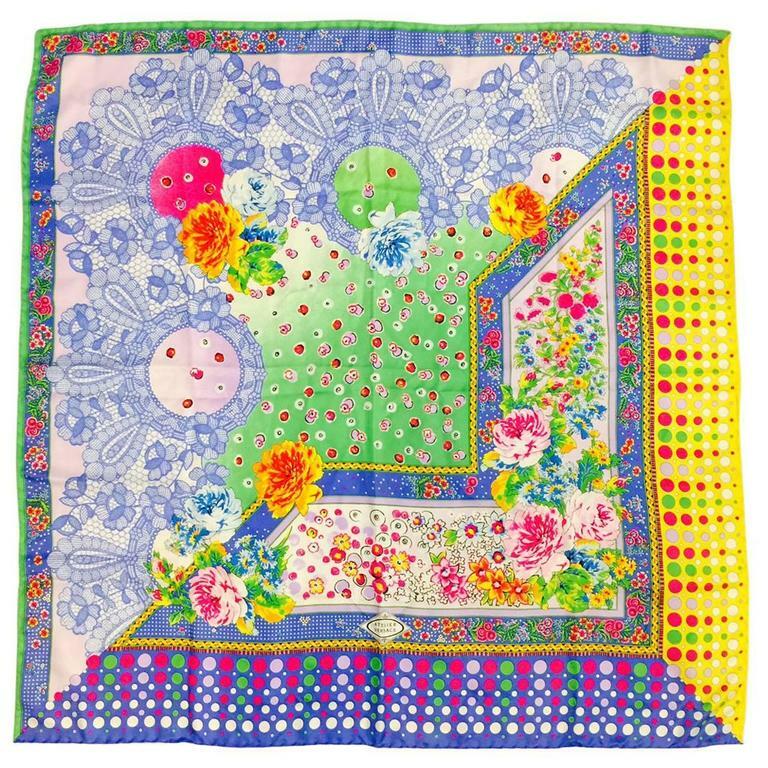 From florals, equestrian prints, geometrics, classical jeweled motifs, and animal designs, we have an abundance of pristine silk, cashmere and blended beauties that will set your hearts a-flutter. 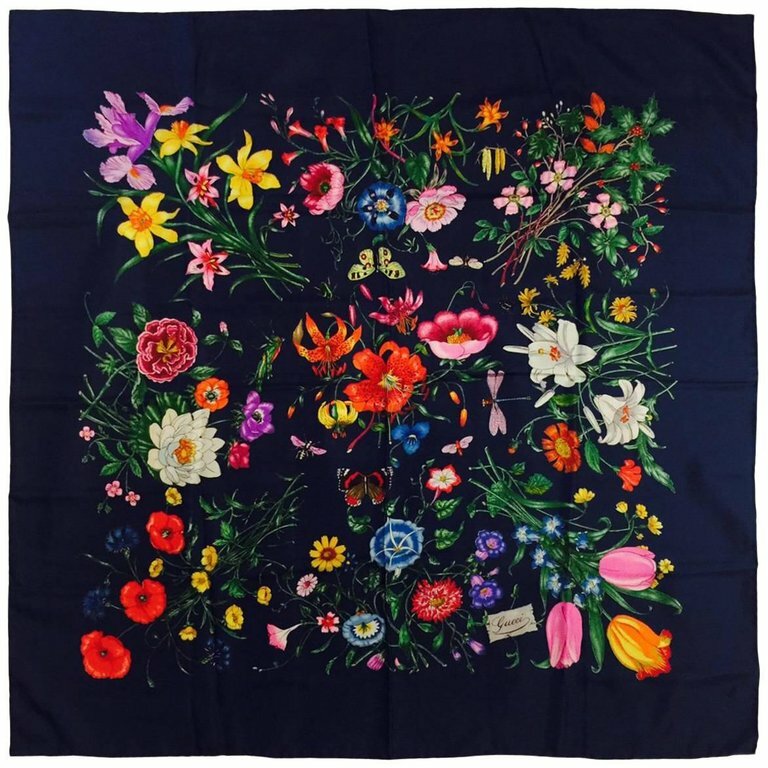 It is so easy to accessorize your wardrobe with these pieces and, of course, they are terrific for traveling to change up outfits and to keep you warm and stylish! We have such an exciting and unusual collection of Fine Jewelry to offer you for the upcoming season! Whether you are doing some early Holiday shopping or just looking for something special for yourself, you must make sure you peruse our fall offerings. We will be showcasing our Fine Jewelry the week of Thanksgiving...so, if you have any jewelry you want to consign, now is the time to bring it in for maximum exposure! Basket Weave design from his Appassionata Collection. Radiant refinement punctuated by matched brilliant cut diamonds. Stunning! diamonds add sparkle and interest! Entire bottom portion sways with your every move. Dramatic. Rare. Unique! 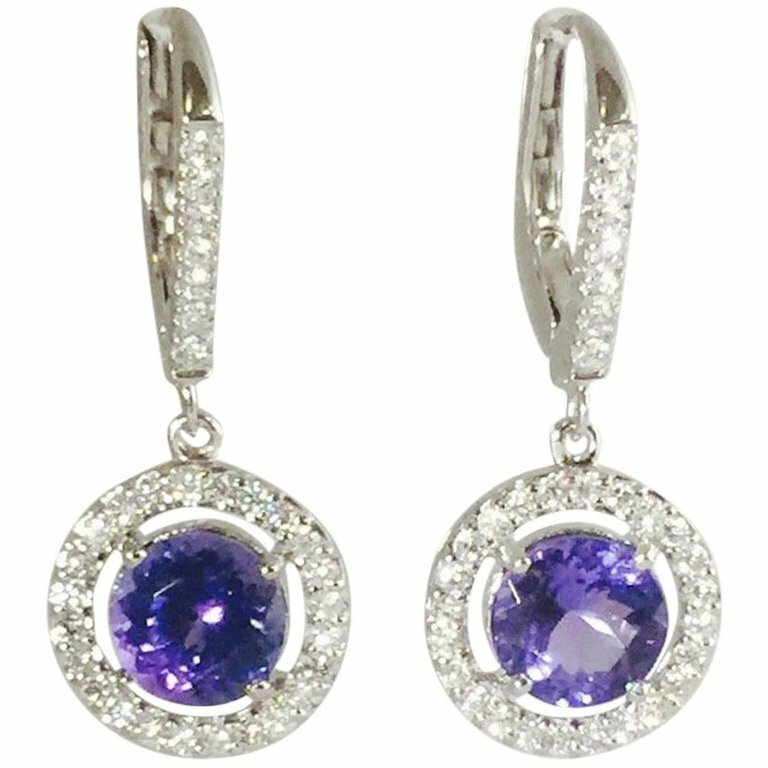 Perfectly matched round, faceted Tanzanites have a total weight of 2.87 carats. 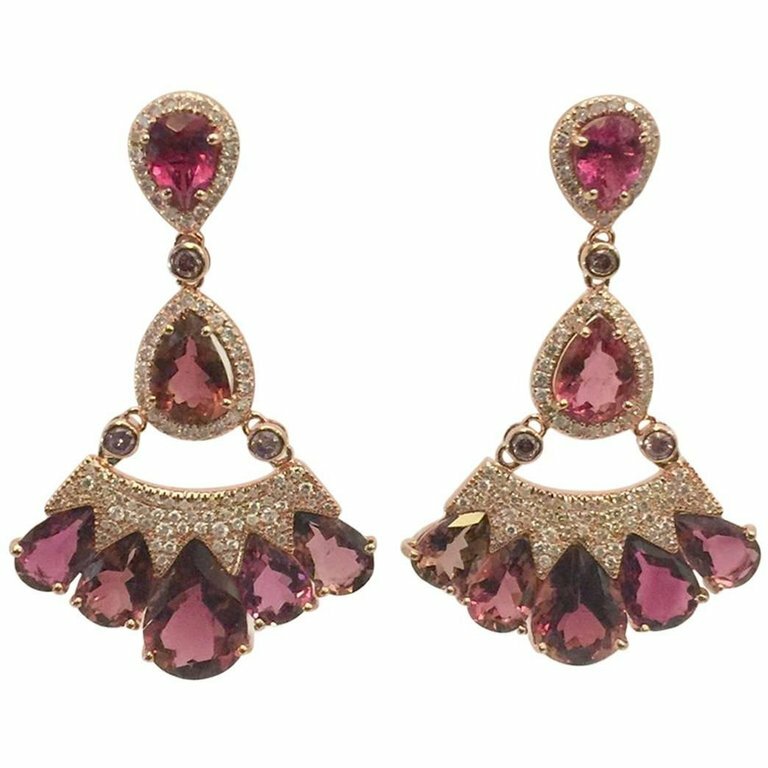 They boast a wreath of brilliant cut diamonds that also enhance the front of lever backs for pierced ears. Elegant simplicity! 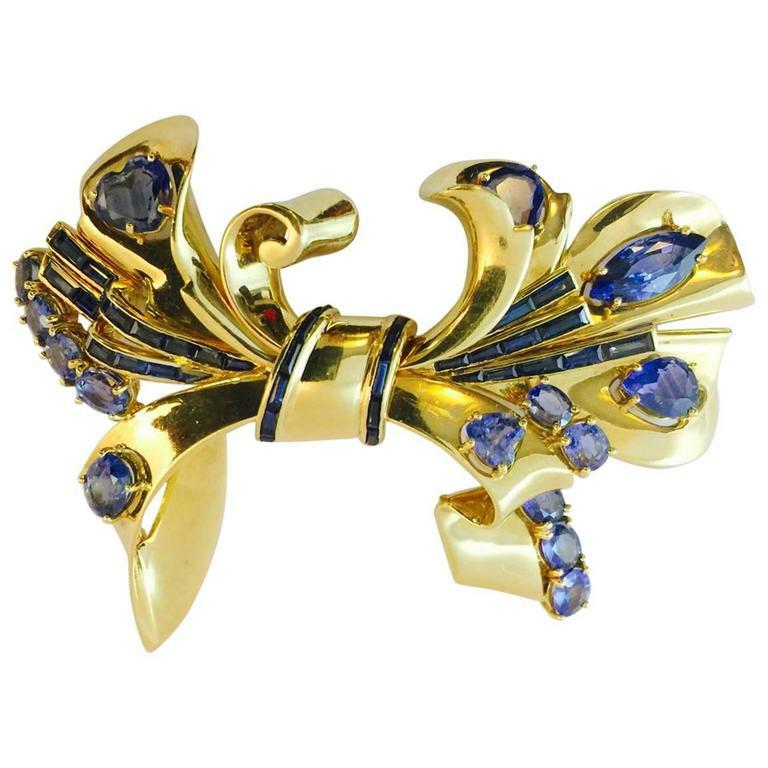 A superior collection of brooches for day or night. 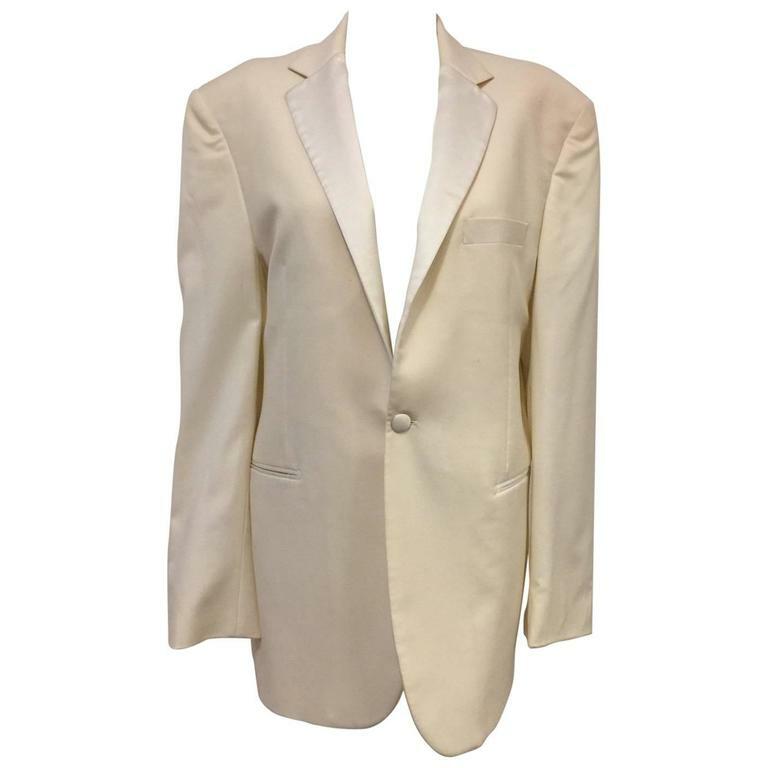 Think outside the lapel! 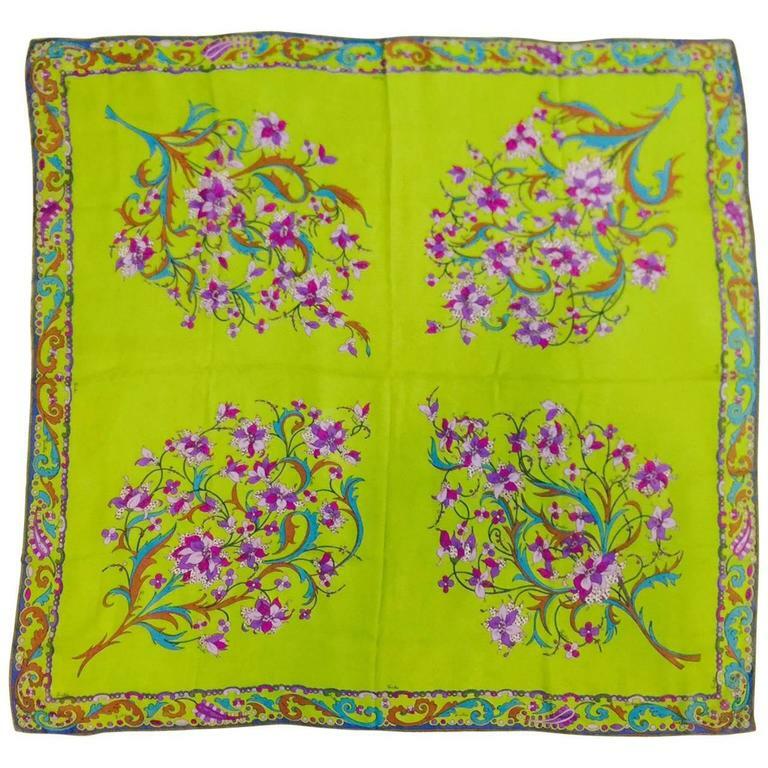 Stunning on shirt cuffs, at the base of a neckline, on your shoulder, an evening bag, a great hat - you get the idea! A former Cartier jeweler now acclaimed for his own creations. Curvy and dimensional, replete with every possible cut shape of Ceylon Sapphires, with an impressive total weight of 15 carats. Fabulous! Refined, tailored and forever in style. 3.00 carats total weight of beautifully matched brilliant cut diamonds boasting F color, VS1 clarity. Destined to become a beloved heirloom. Classic! Mr. Krypell is noted for his masterfully created designs and perfection. 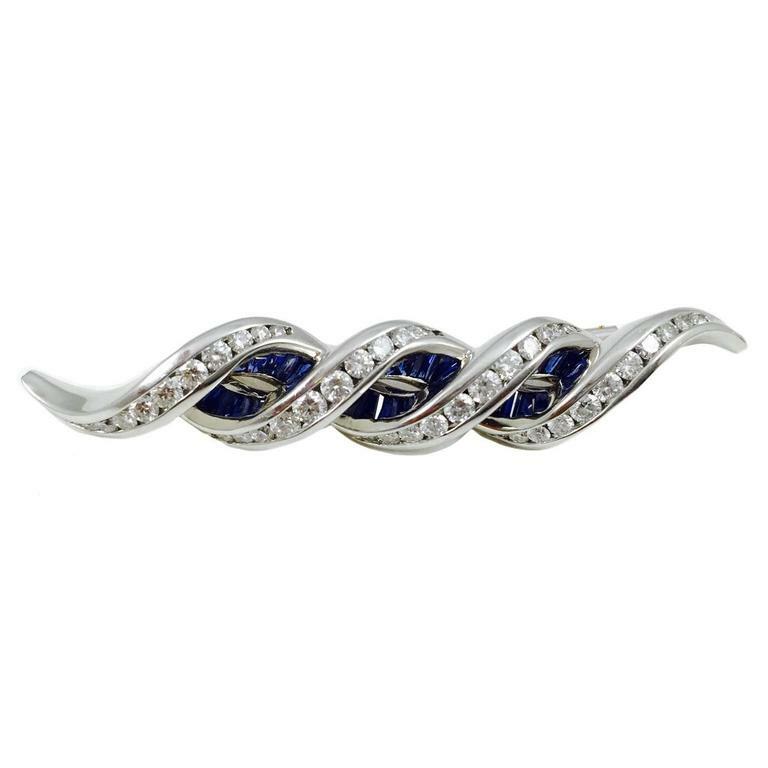 This platinum bar style brooch features 4 waves of channel set brilliant cut diamonds weighing 1.93 carats overlapping a sea of channel set blue sapphires weighing 1.70 carats. Striking! "Water of the Sea" in a classic emerald cut weighing 7.19 carats. 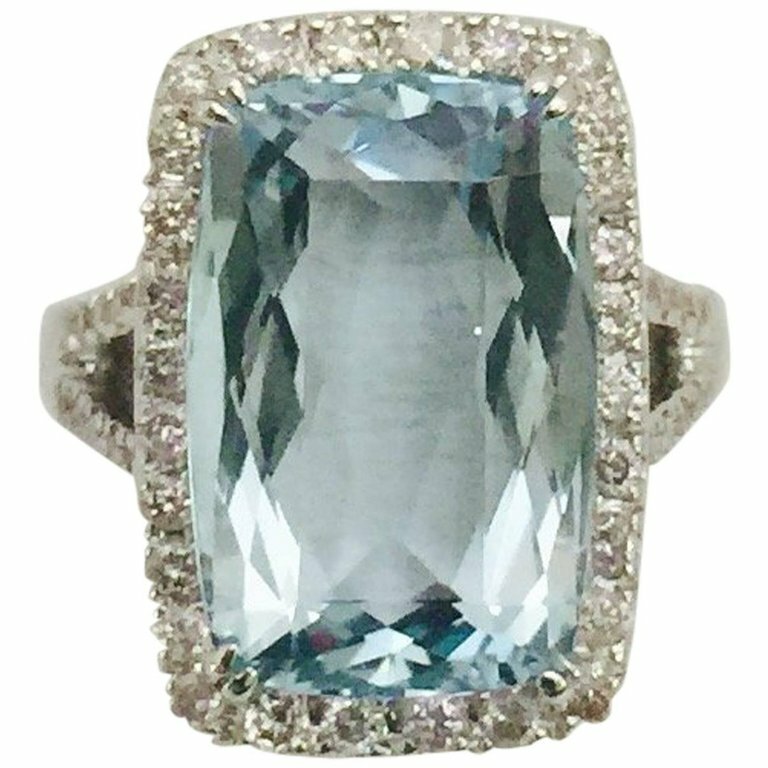 Aquamarine is embraced by micro pave brilliant cut diamonds that also travel down each side of the split shank. Total weight of diamonds is .60 carats. Breathtaking! 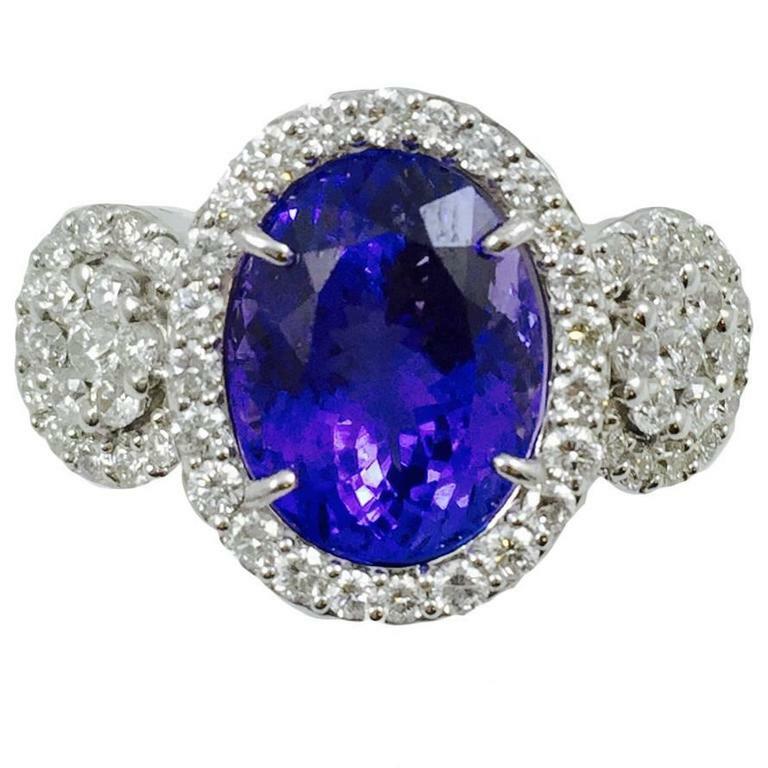 An oval, east west set, Tanzanite weighing 7.34 carats has luscious depth of color. 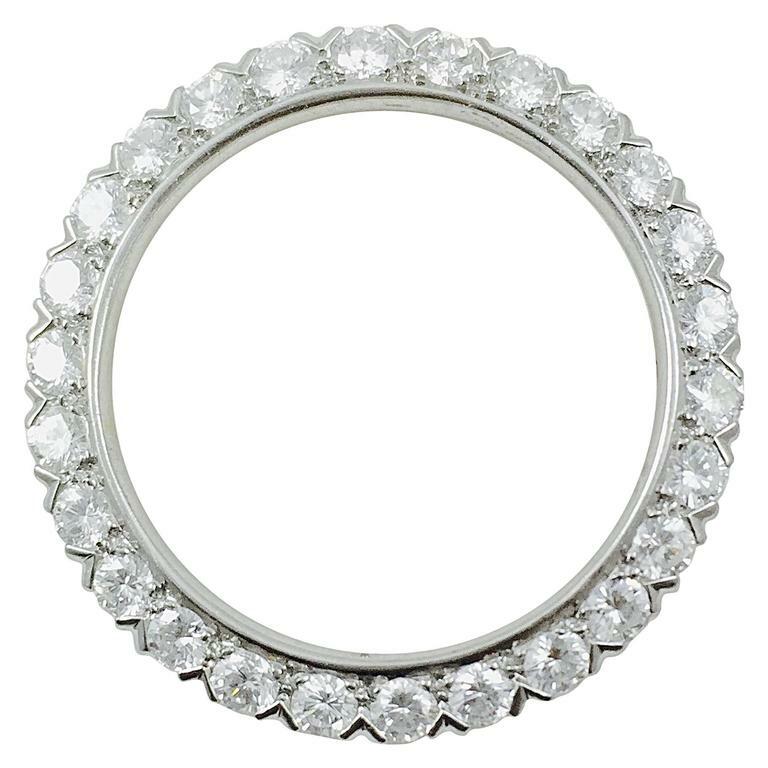 Stone appears suspended between two pave diamond end bezels. Ring portion is fabricated with five separate rows of brilliant cut diamonds that are independent of each other. Diamond weight of 1.57 carats. Classic design and combination. 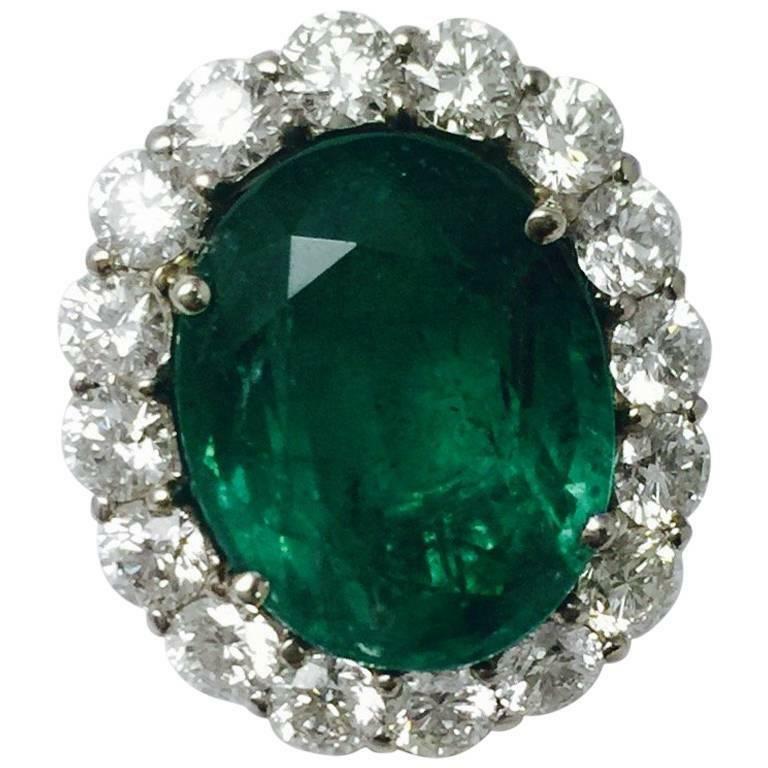 "Diana" ring has an oval Colombian emerald, with deep color saturation, weighing 6.26 carats framed in brilliant cut diamonds weighing 2.51 carats. The finest of fine jewelry! 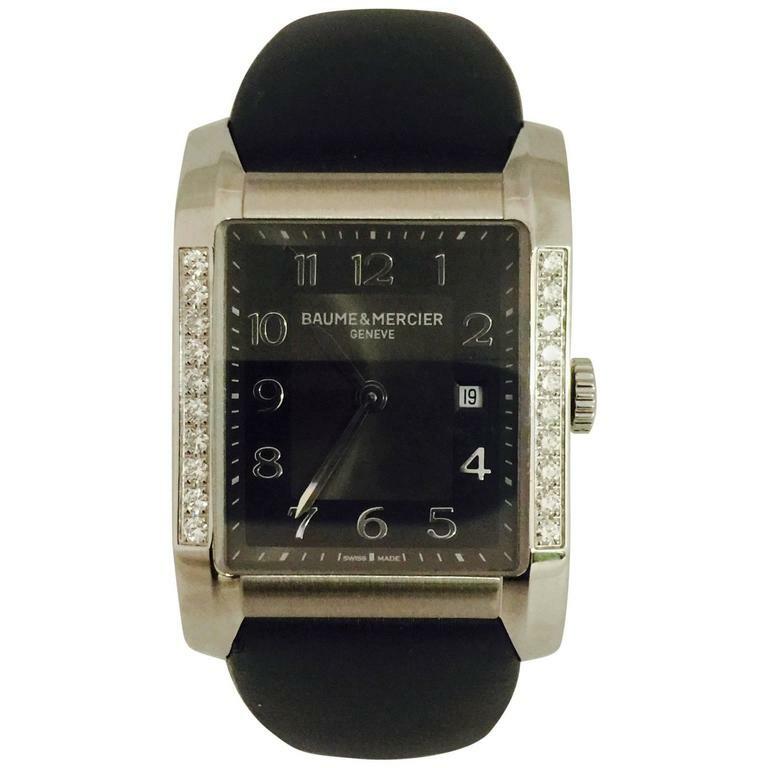 Swiss made, quartz movement and water resistant to 50 meters! Shower, swim, surf, sail or do dishes with no problem. 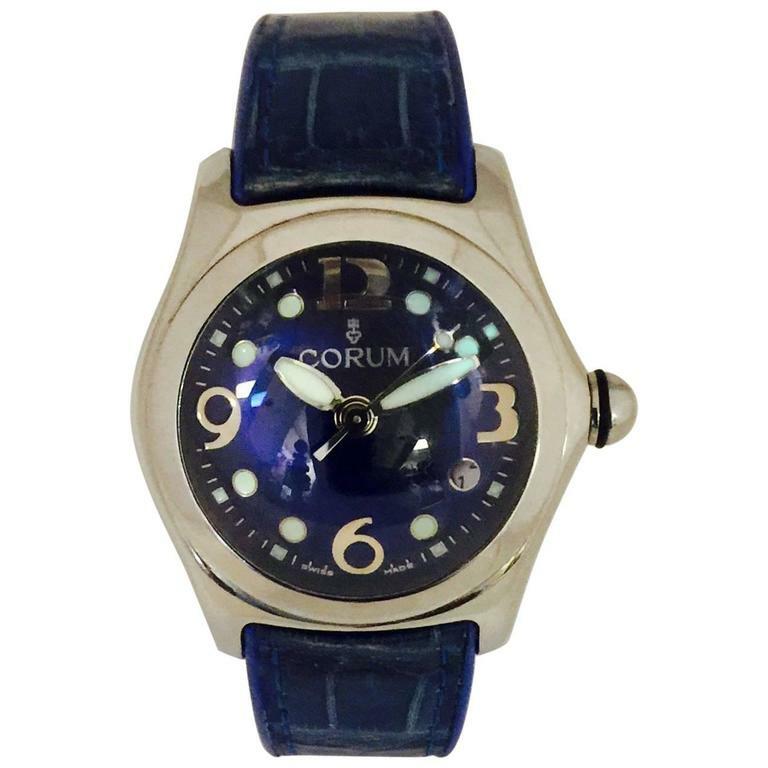 The Corum Bubble watch is sought after worldwide. 35mm Stainless case features a crystal "bubble". Easy to read! Embossed blue leather deployment band! Collectible! Finest Swiss craftsmanship. A stunning diamond bracelet that tells time! 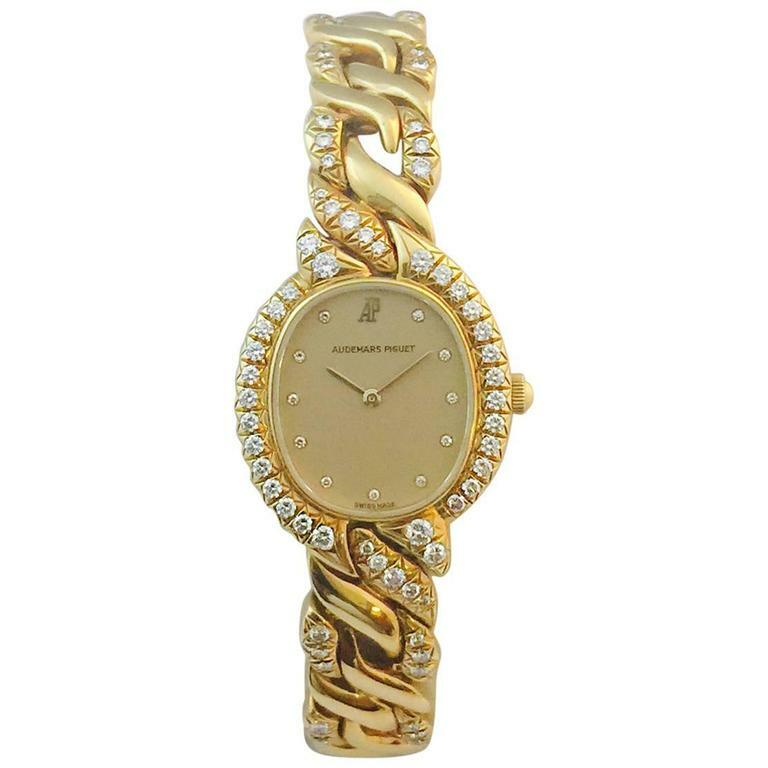 Oval champagne dial with diamond markets, diamonds around the case and each side of links on bracelet. 2.00 carats total weight. Please! Wear it anytime! Every day is a special occasion. Timeless! The Hampton model in Stainless Steel features a satin finish anthracite dial. Water resistant to 50 meters. Quartz movement. Black satin tapered deployment clasp band. Ten diamonds on each side of case total 1.00 carat total weight. Swiss made. Suitable for men or ladies. Sophisticated! 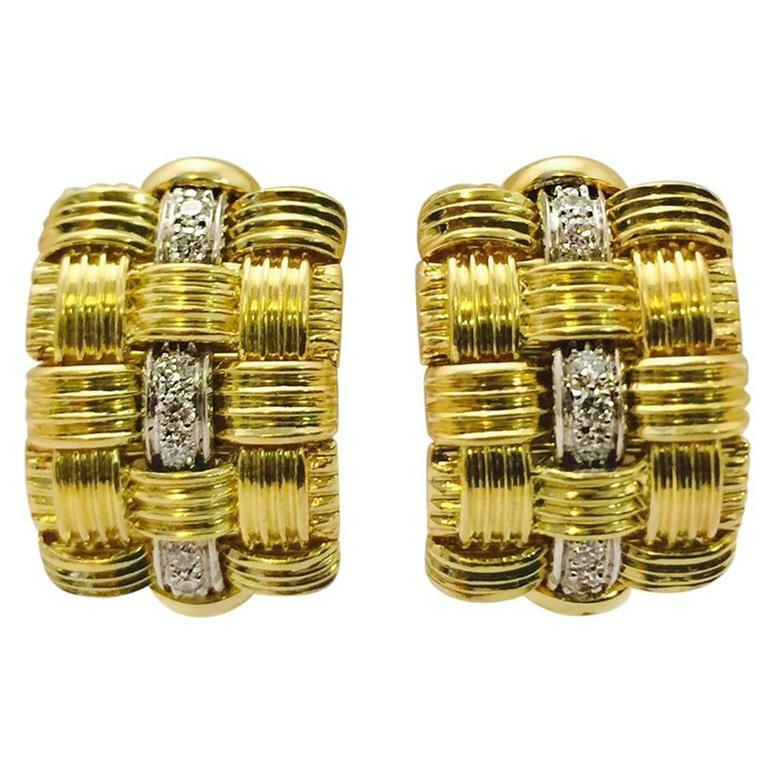 Our selection of Sterling Silver and Gold cufflinks is amazing! Henry Dunay is a master at his craft! 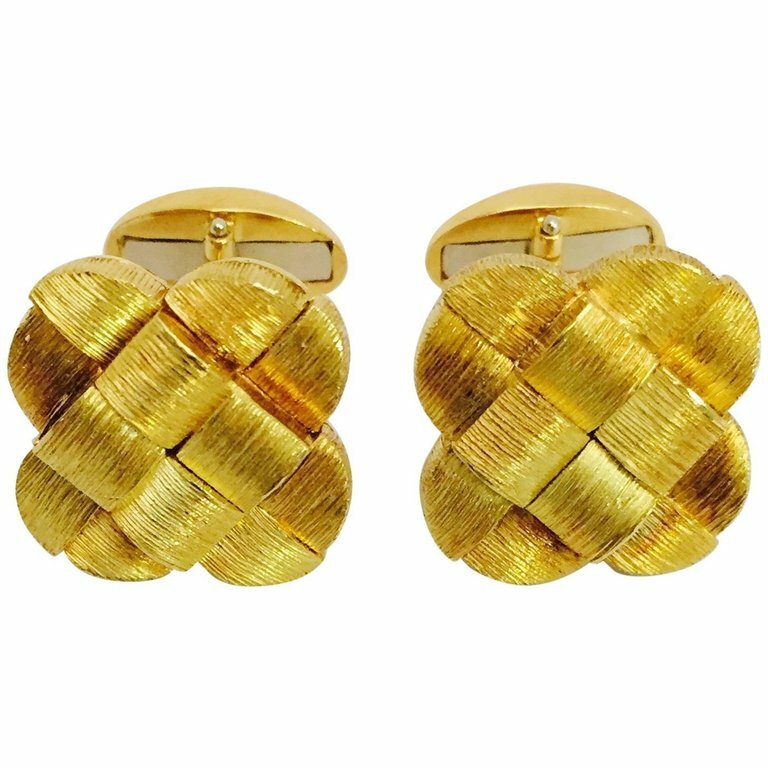 Hand Florentine finish and basket weave design give these cufflinks depth and interest. Heavy and masculine. For the well-dressed man! Bold! Cartier's iconic logo is featured on both arms. 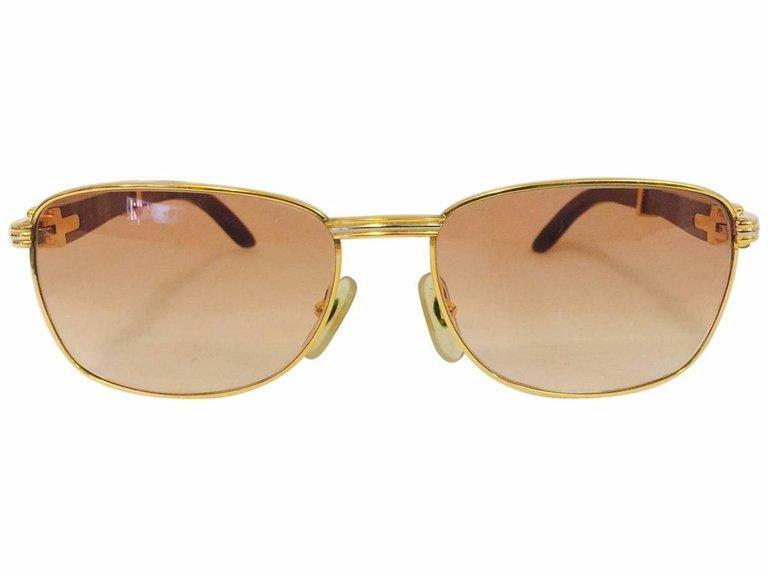 18 karat yellow and white gold blend seamlessly in these vintage sunglasses. Handsome wood frames. The style pendulum has swung once again to leather for the upcoming season. One simply cannot open any fashion magazine without seeing leather looks from all of the top designers! 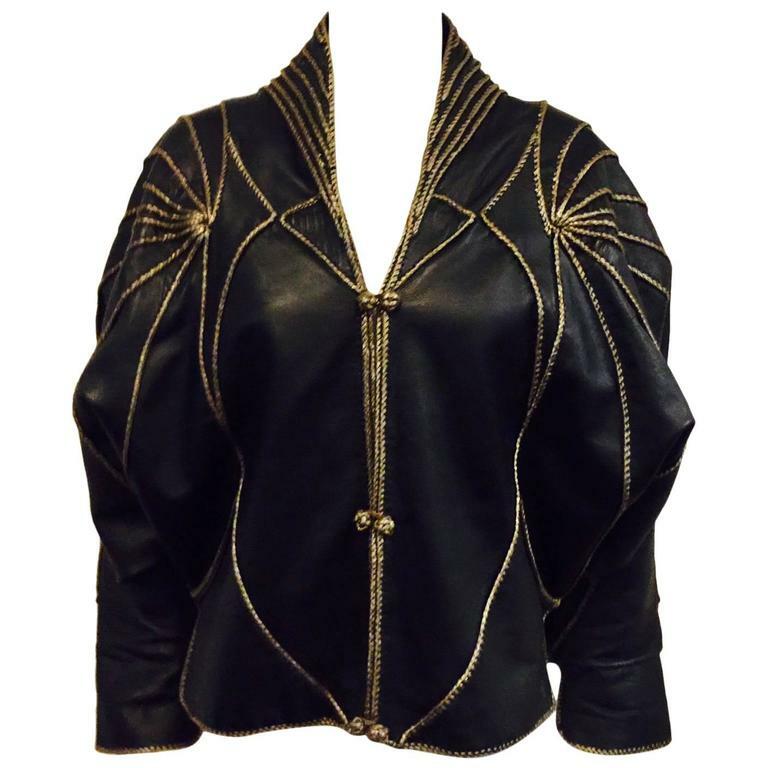 Not to worry, Classic Collections has a variety of marvelous and sumptuous leather fashions that are unique as well as affordable! 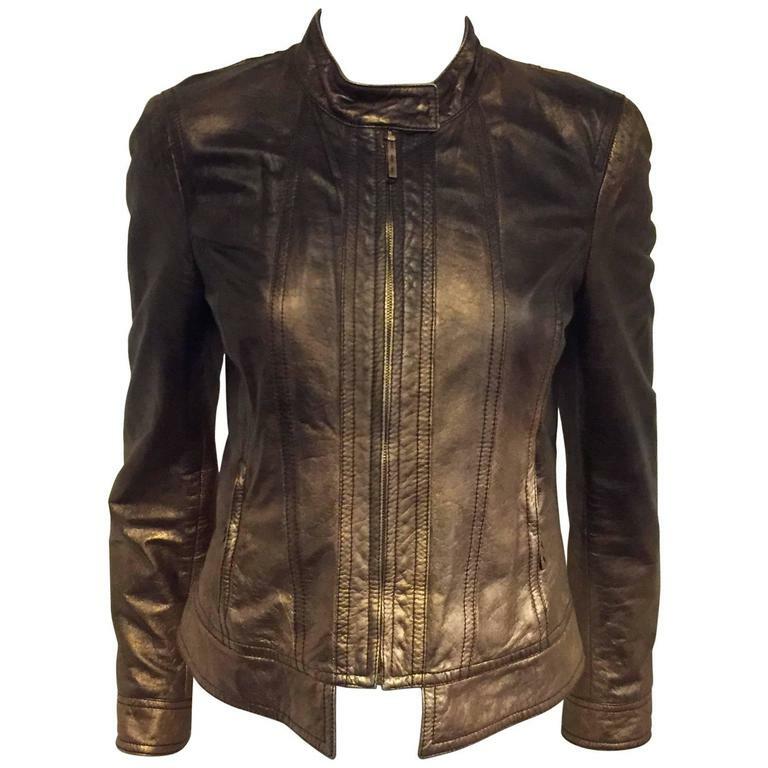 ...or the classic, slimming leather coat from Dolce & Gabbana that unzips at the bottom for a shorter look! 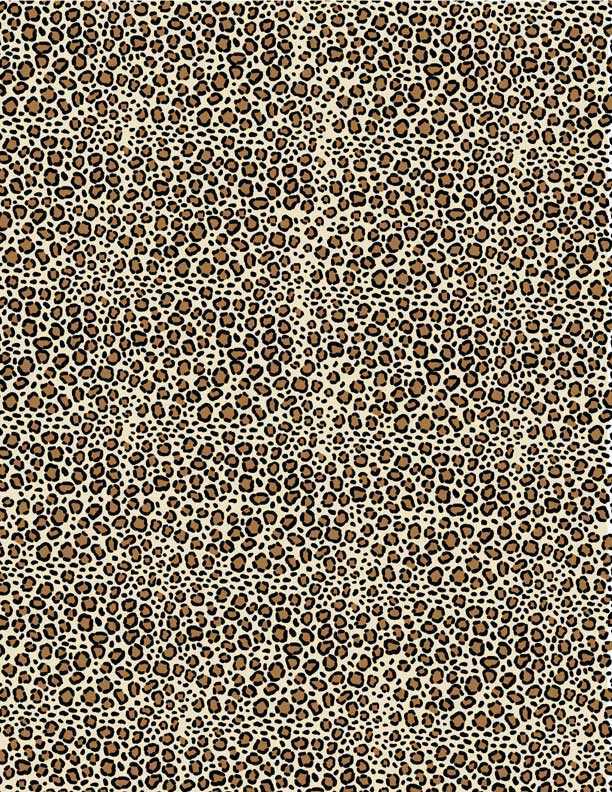 We have luxurious leathers from Ferragamo, Cavalli, Armani, Prada and many more top fashion houses! 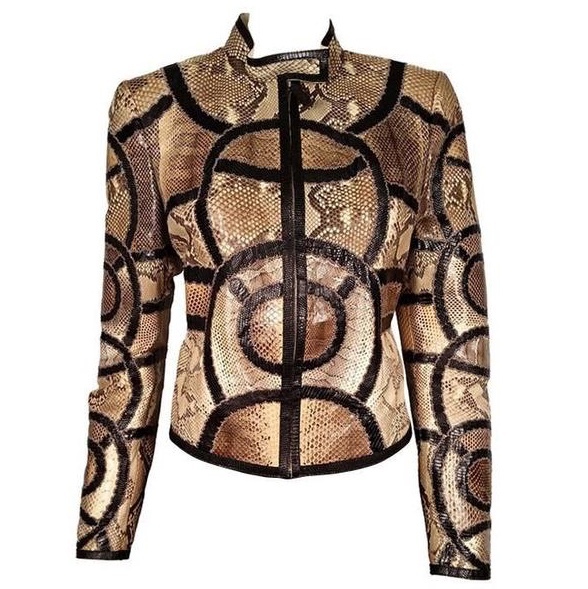 Gucci python and snakeskin jackets are available as well as an assortment of black leather jackets from top designers. So come on in while they last! Glorious Gucci Python Biker Jacket! It's that wonderful time of year again, when thoughts turn to special occasions, family, and gifts for the home! Classic Collections Gentry has a large collection of cufflinks, in sterling silver by Tiffany & Co., Ippolita, Georg Jensen, Ermenegildo Zegna and an assortment of fabulous vintage designs. 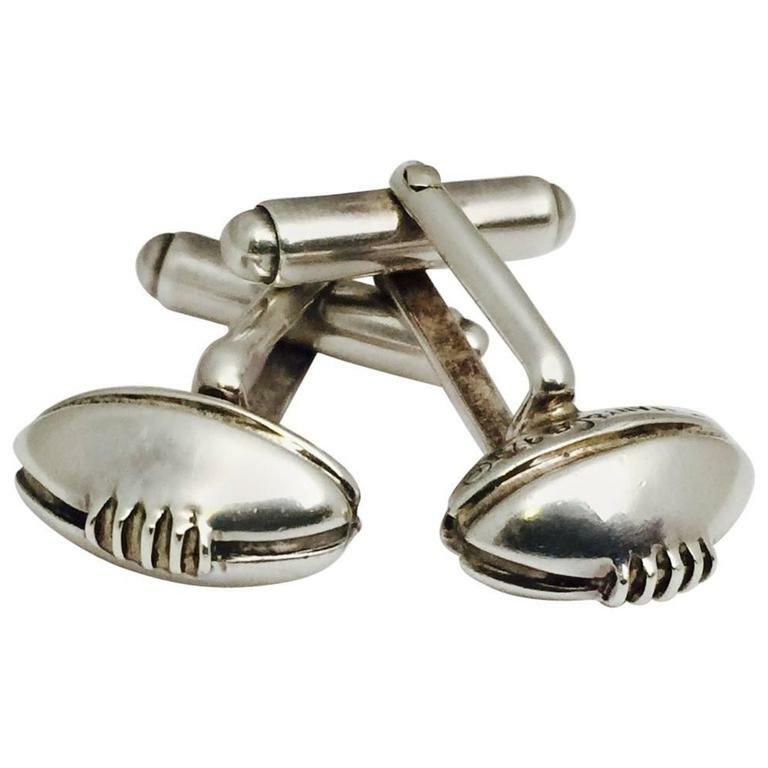 We also have a great selection of "costume" cufflink and stud sets as well as fine cufflinks by David Webb and Henry Dunay. Our black tie formal wear includes the afore mentioned cufflinks and stud sets as well as evening shirts, cummerbund and bow tie sets, vests and suspenders. Of course, a tuxedo is needed too! 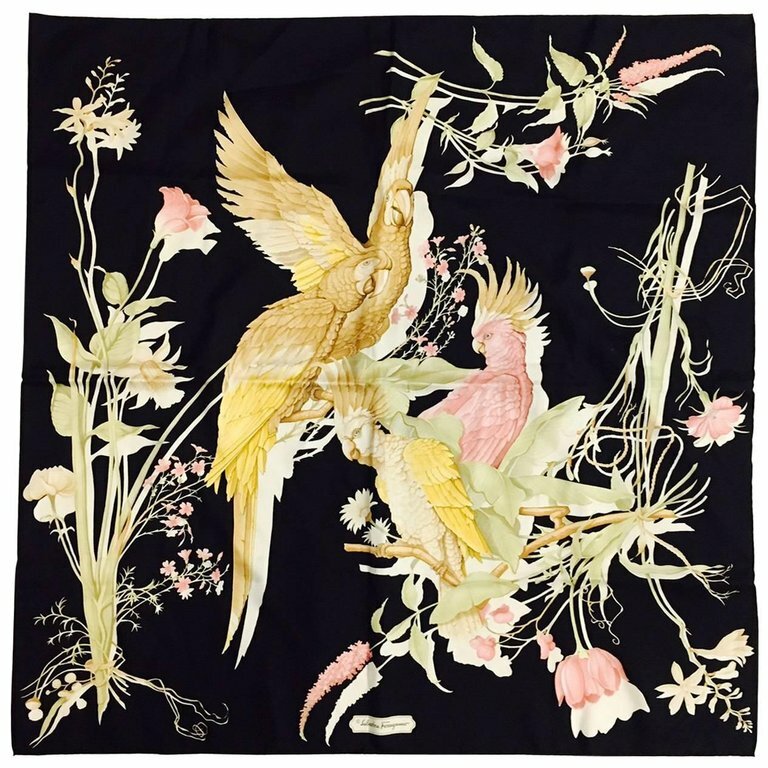 We have all styles, from designers such as Karl Lagerfeld, Brioni, Hickey Freeman, Ermenegildo Zegna as well as Vera Wang, Giorgio Armani and Ralph Lauren. 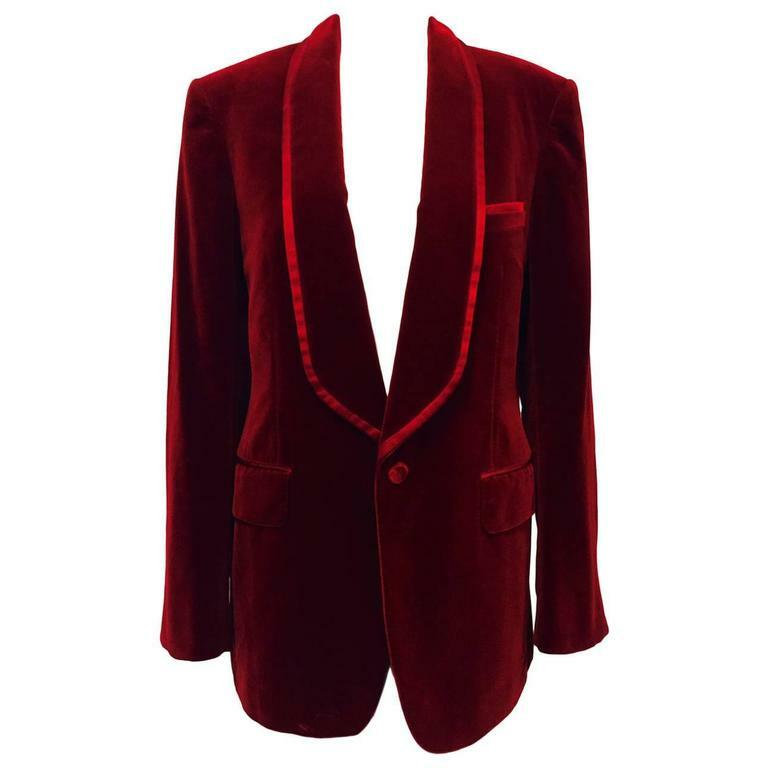 We also have a collection of sensational smoking and evening jackets from Versace, Gucci, Yves Saint Laurent, in shades from ivory to red, and black. 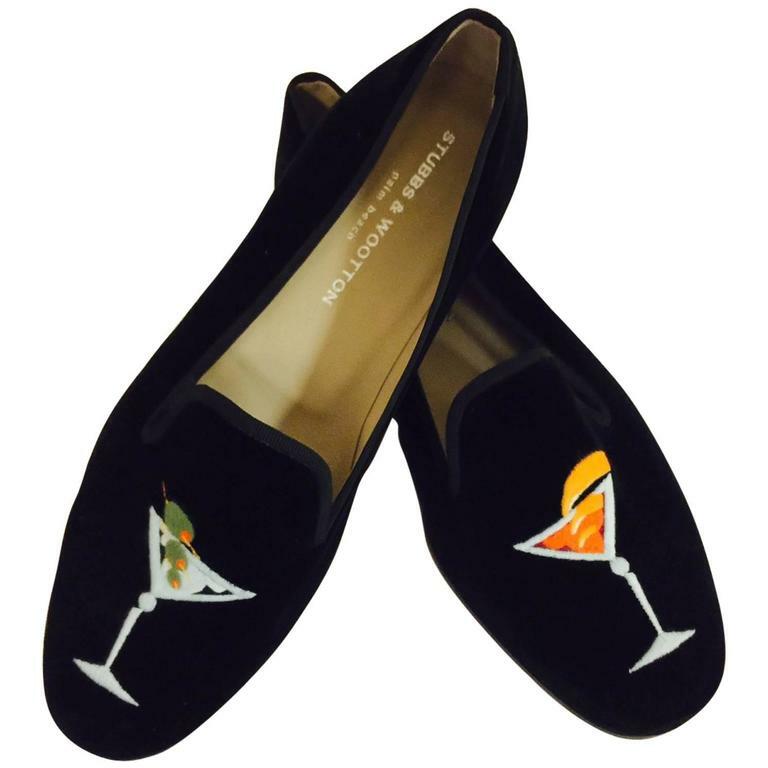 Evening slippers by Stubbs & Wootton, Gucci, Salvatore Ferragamo and others finish the complete ensemble. 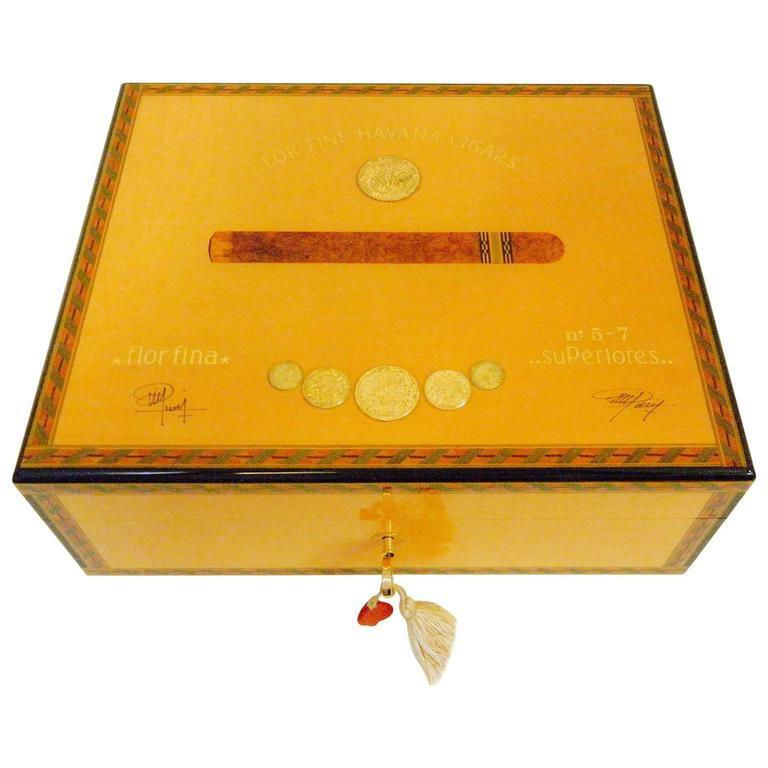 For the cigar aficionado, we have humidors by Elie Bleu and Gucci, as well as large crystal ashtrays by Baccarat and Waterford. 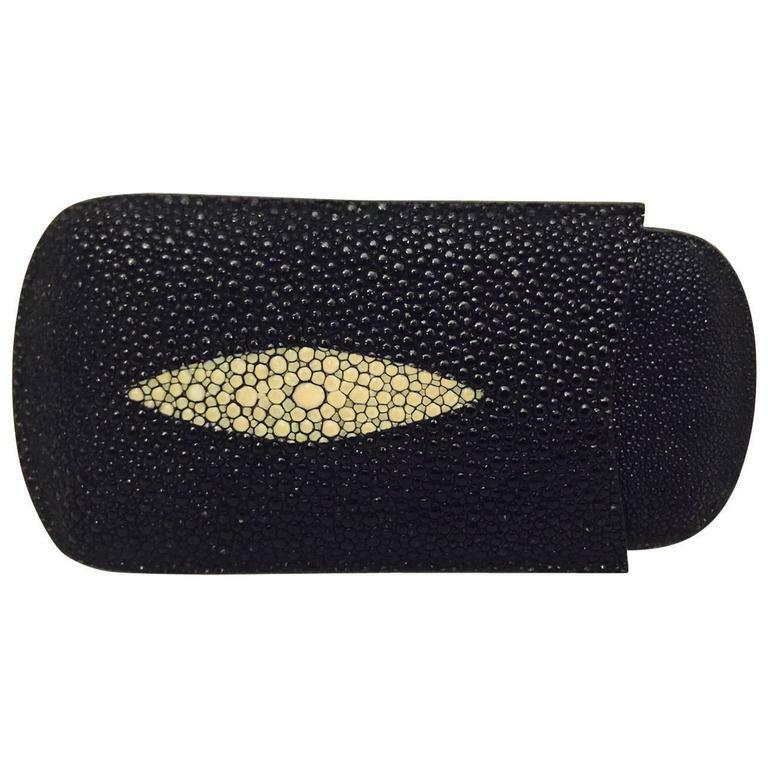 For the pocket, we have three finger cigar cases in stingray and python. All are great gift options. Another idea for the gentleman is a walking cane with a silver, crystal, or bulldog top handles. For those cozy family holiday gatherings, show your impeccable style by wearing loafers made from exotic skins such as ostrich, alligator, crocodile, by Salvatore Ferragamo, Gucci, and other fine Italian designers. The other optional statement piece is a fine cashmere sweater by Loro Piana, Brunello Cucinelli, or Malo. 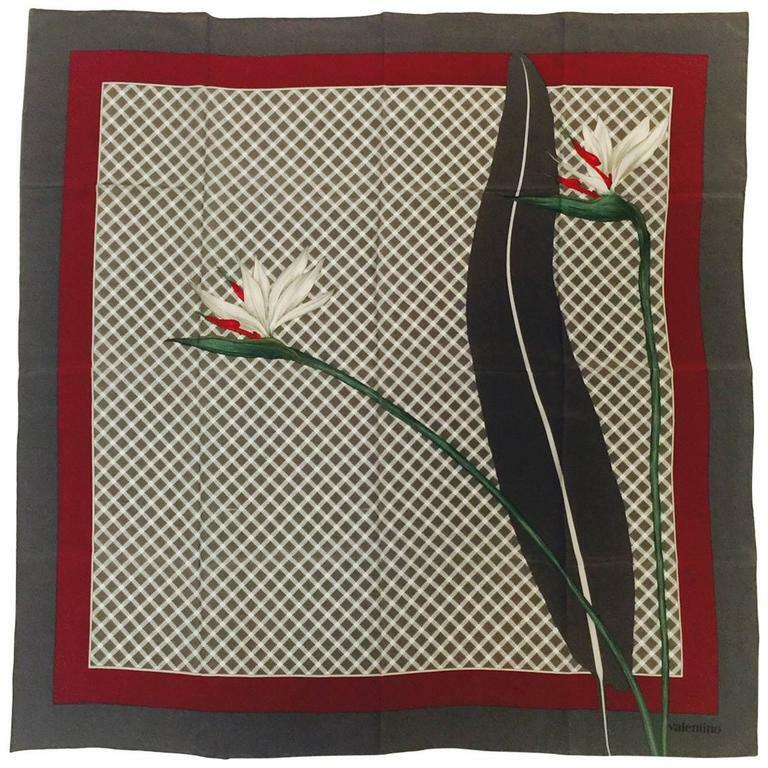 Wonderful new items arrive daily, so be sure to be added to our "wish list" for that special item you are looking for! Truly, this is the best time of year for us! 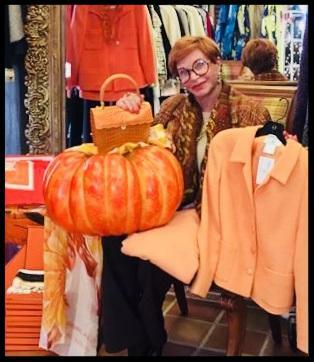 Our friends and consigners are cleaning out their various closets in their luxurious homes and sending us shipments that arrive almost daily! 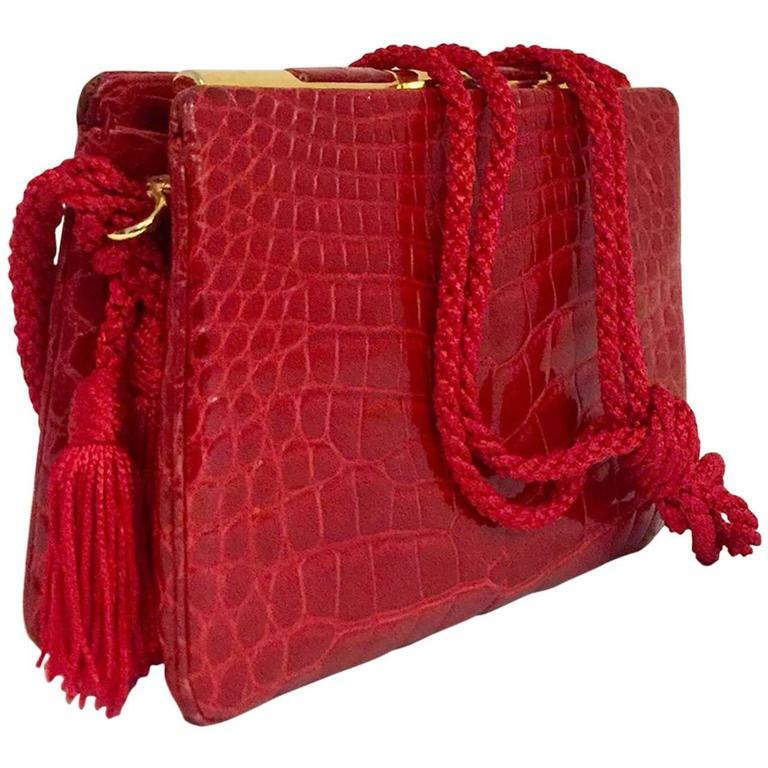 We have been very fortunate to take in some extraordinary handbags-casual, evening as well as classic styles. With fall in full swing, it's time once again to lean toward our tried and true favorites...suede, crocodile, exotic skins and polished leathers all in the rich, earthy tones of harvest time or the always practical black bag. 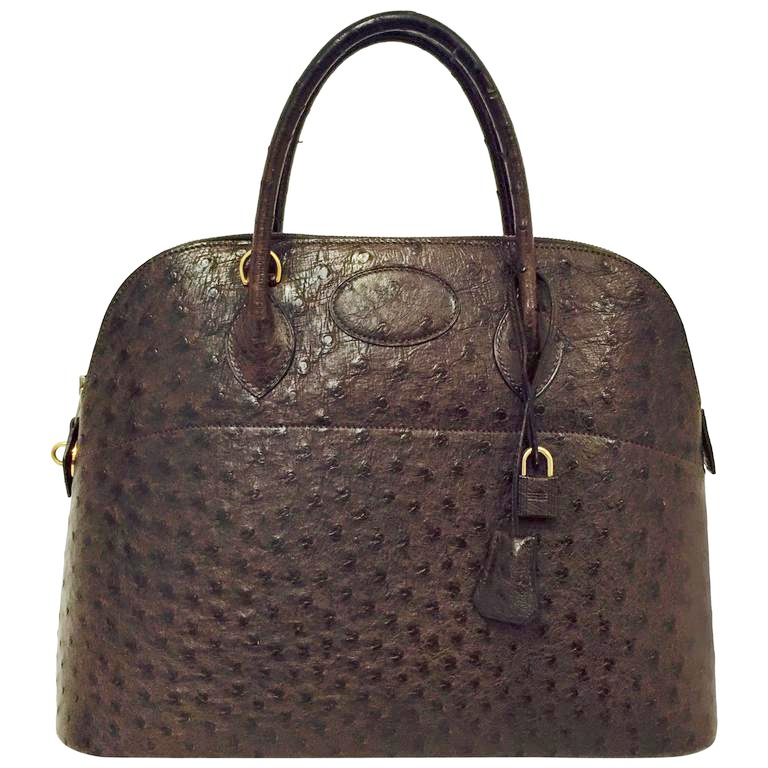 The Brown ostrich "Bolide" Hermes handbag is a classic that can be worn with everything! 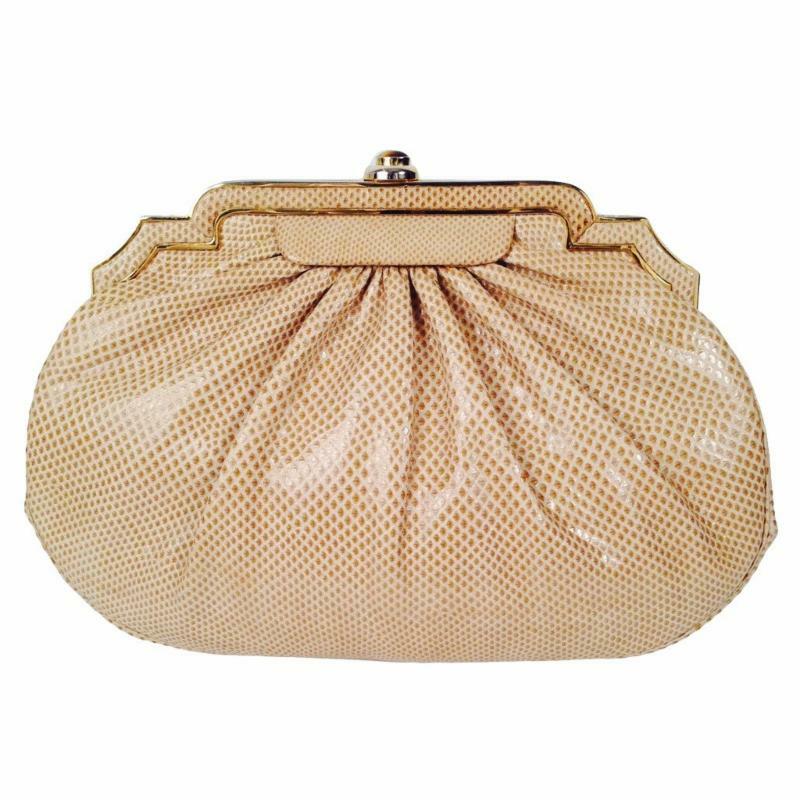 Our Chanel beige Caviar Leather diamond quilted bag is reminiscent of a tote, but with the beautiful gold-tone hardware and classic Chanel features, will complement any outfit. A must for any connoisseur of all things "Coco"! 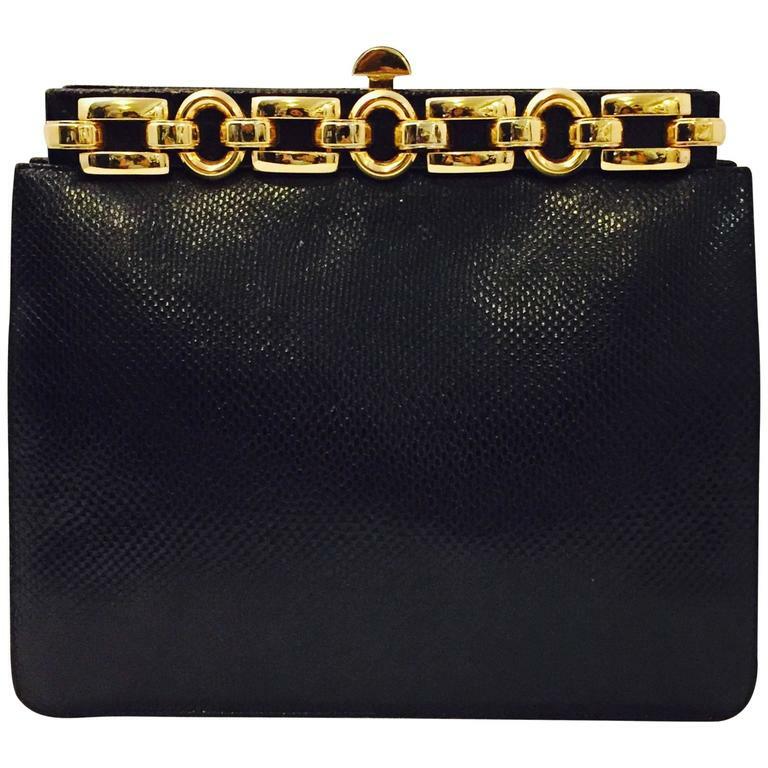 Not to be forgotten, our Louis Vuitton black python "Artsy" shoulder bag features the LV logo stamped on the beautiful python skin! 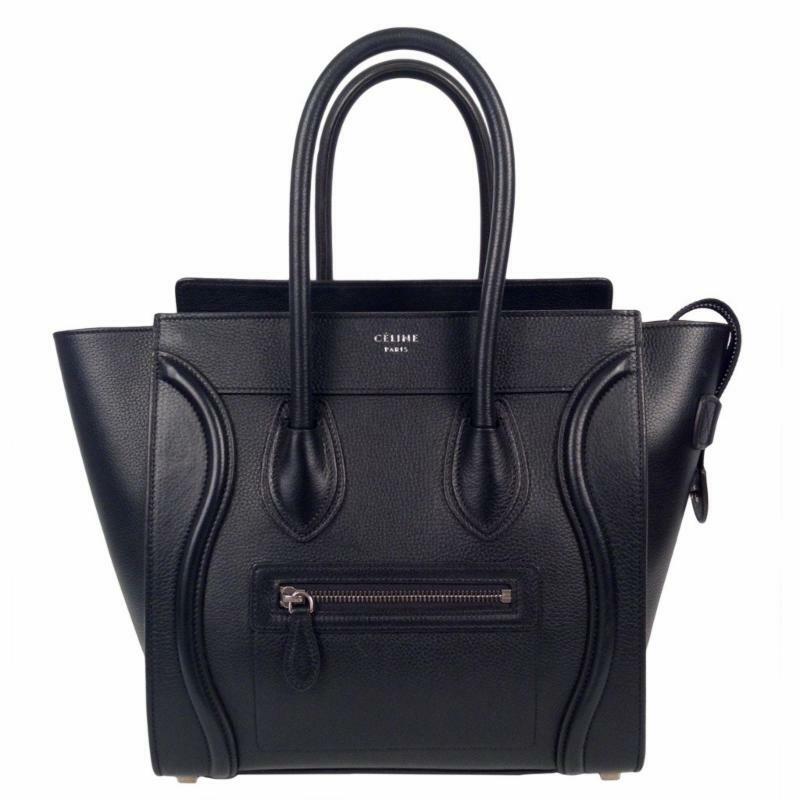 Always current as well as classic is the "Micro Luggage" model by Celine in matte black leather. We currently have the size medium, but often get in the other sizes! Nothing is greater than having a "bag for everything" that one can take from the office to weekend to running around town with. These styles combine fashion with function and frankly, many ladies choose one or two each year and they wind up being our "go-to bags"! While all fashionistas have special bags for different events, it's these casual workhorses that get us through the day! 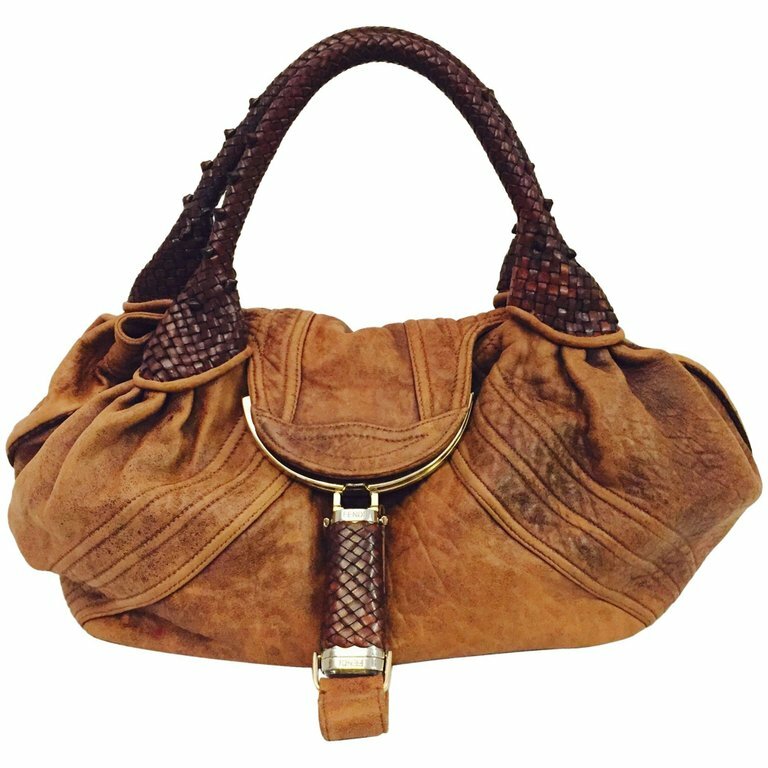 One of our favorites is this distressed brown leather Fendi with braided leather handles that can be worn as a satchel or a shoulder bag. 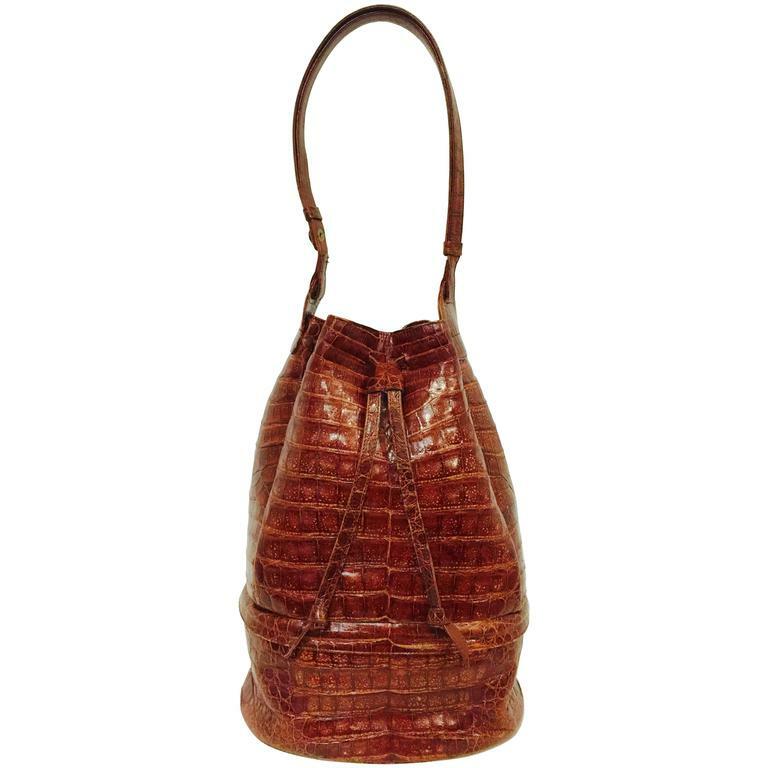 The caramel brown crocodile by Luc Benoit is a bucket bag that will fit everything you may EVER want! 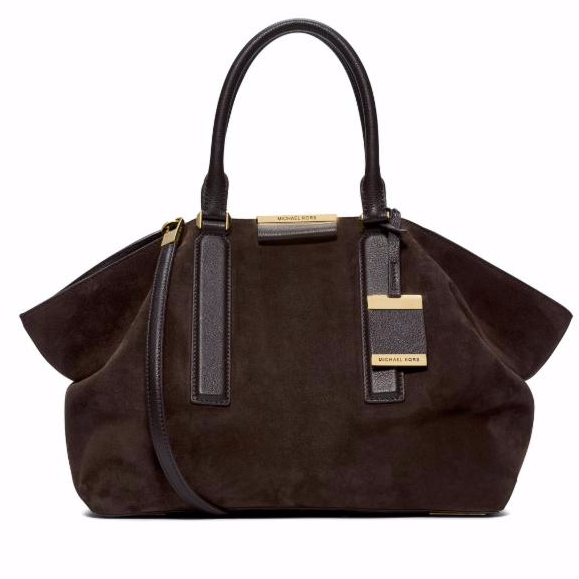 Michael Kors has built an empire on casual, yet classic, collections that include the must-have "Lexi Satchel" in ultra-versatile brown suede! Come in and browse-we have so many wonderful casual styles to fit your everyday needs! 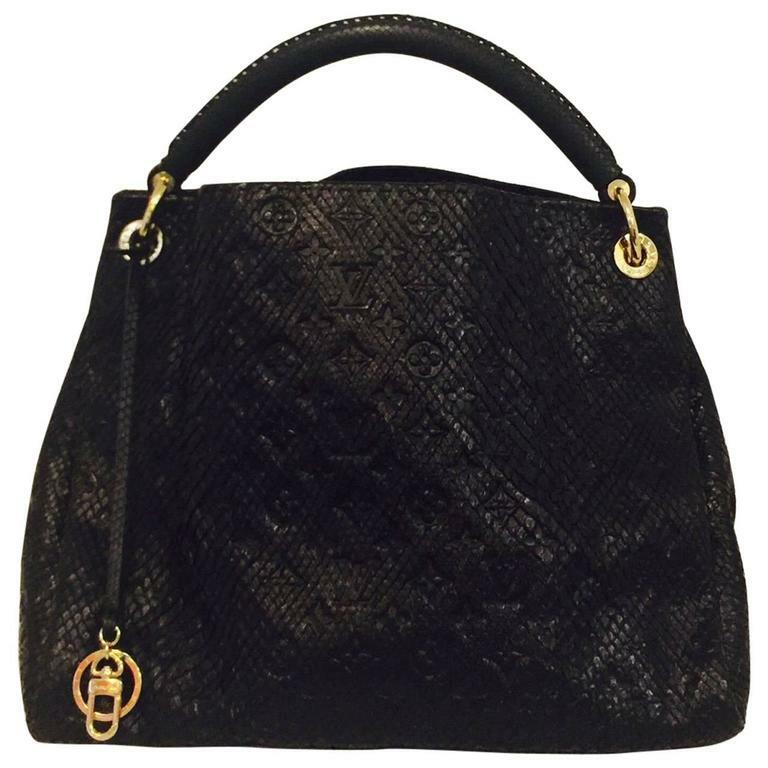 Forever Fendi Distressed Leather Bag With Braided Handles! Casual and Classic Kors Brown Suede Lexi Satchel! 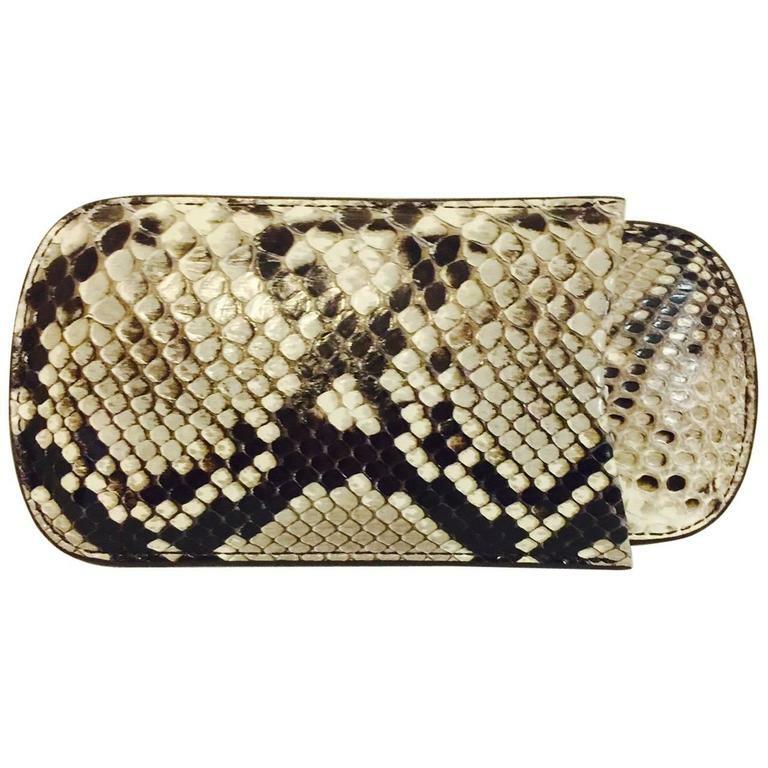 While many times one covets sparkling clutches for evening wear, consider the beauty of a snakeskin or crocodile evening bag for a change. 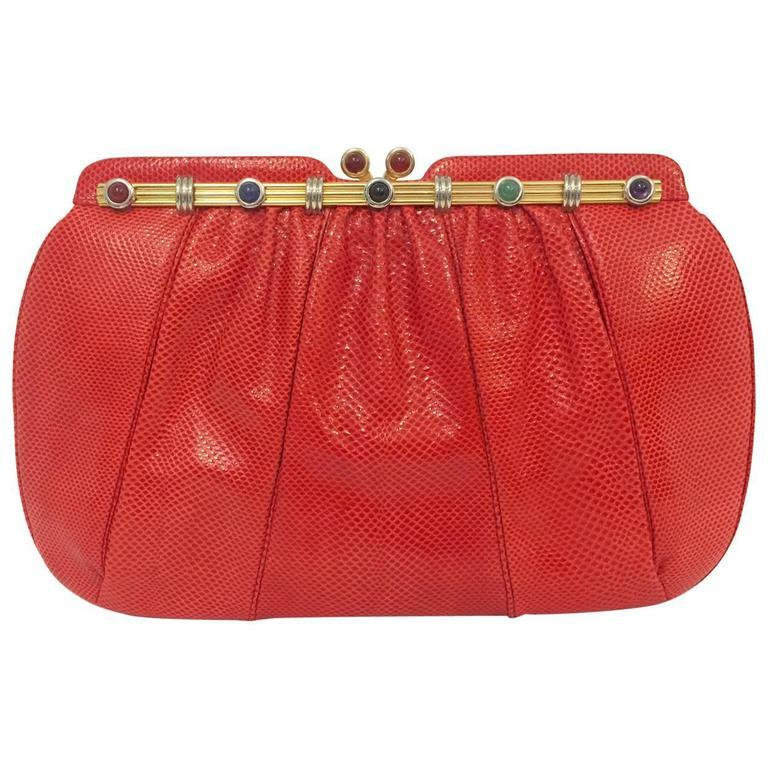 We offer a vast array of these types of bags by Judith Leiber that are a change from the typical jeweled clutch. These will give you with a "different" look! 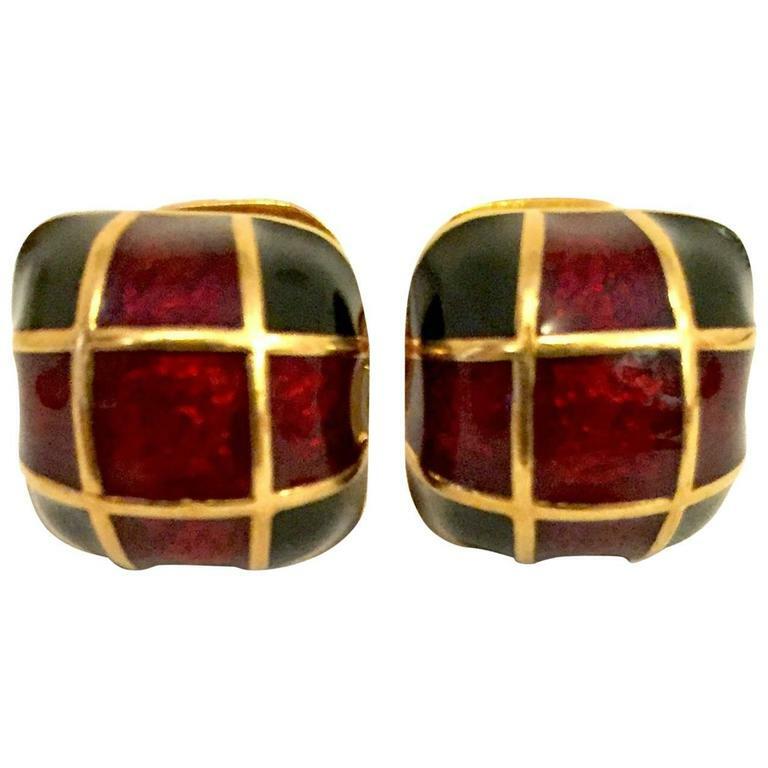 Of course, that is not to minimize the importance and elegance of the minaudiere to compliment one's perfect black tie occasion! It is with delight that we offer a great variety of jeweled evening pieces. 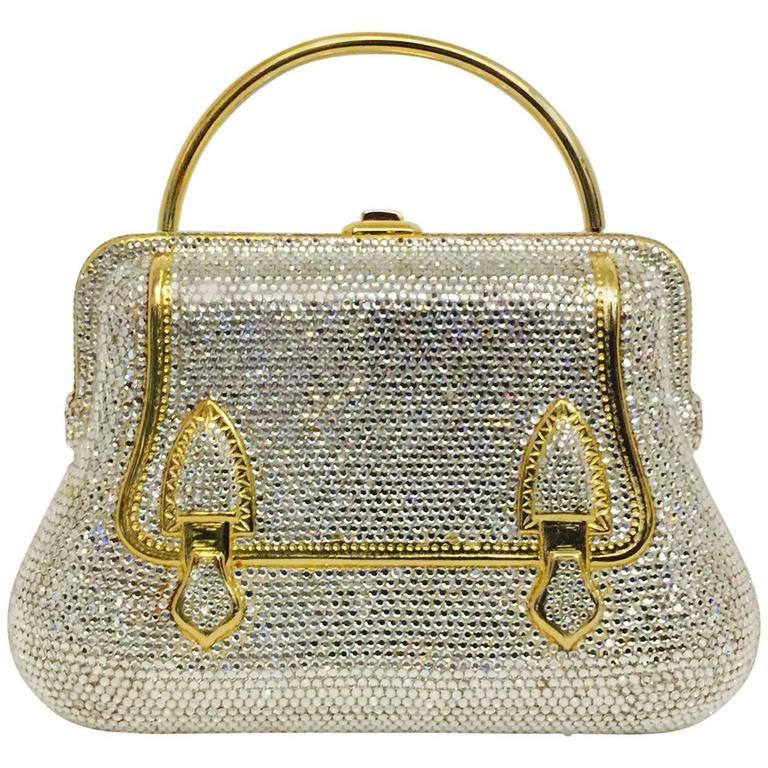 Consider this magnificent Judith Lieber with the silver and gold crystals and structured, domed top. 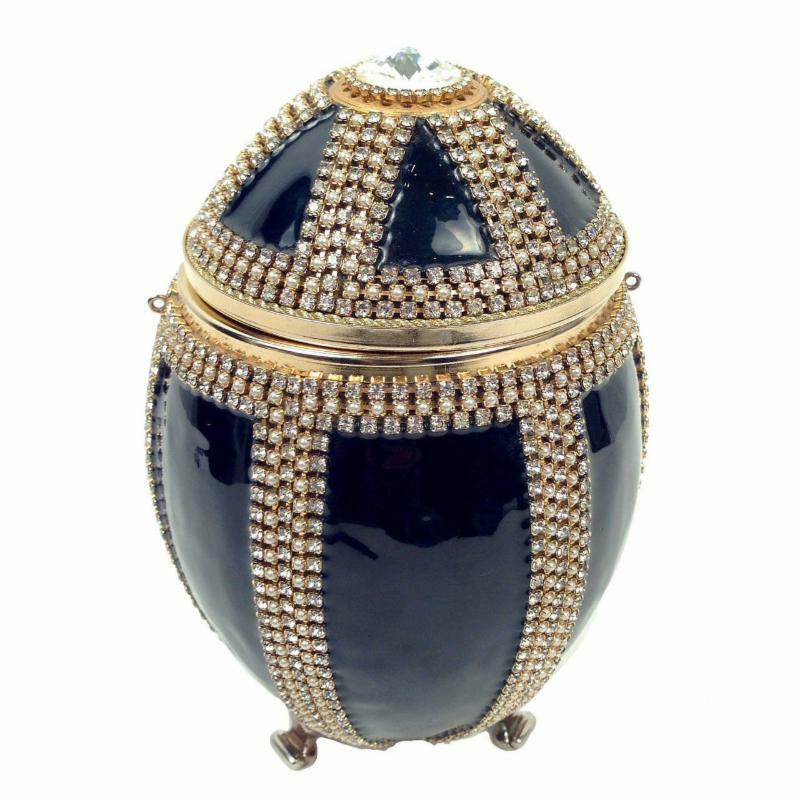 Likewise, this gorgeous, classic and collectible Faberge Egg-style beauty by Vivian Alexander is a veritable work of art! As always, at this time of year, we take the time to acknowledge those things for which we are most thankful! We are especially thankful for our consignors, customers, and friends that have been with us for the past 10 years! We look forward to this Thanksgiving and wish you and your loved ones a happy holiday filled with love and joy!